Nepali Times: How did you manage to end load shedding so soon after you were appointed to NEA? 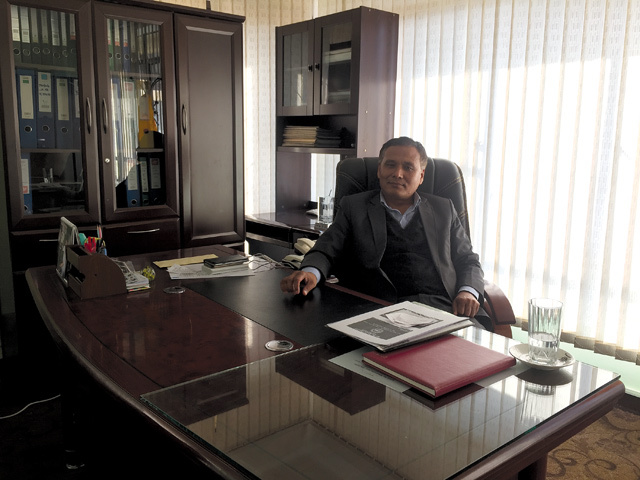 Kulman Ghising: I found out that it is the priority of the NEA that determines the hours of load-shedding in the country. I chose to prioritise power to the people by cutting a few hours from industrial zones which were earlier given 24-hour electricity. All I am doing is being more equitable in the distribution of power to all, replacement of transformers in the Valley’s substations and proper management of demand and supply. But critics say you are draining Kulekhani and load-shedding will resume in March? As I have been saying, NEA is not going to publicise load shedding schedules anymore. We will make optimum use of available resources and manage generation and distribution. We are working on additional imports from India, and managing internal resources for the dry season to be fair in distribution. We only use the Kulekhani reservoir as a backup for the peak hours in the dry season. So, no load-shedding this winter? The NEA will focus on equal distribution of power to all industries and domestic consumption will be the first priority. Providing uninterrupted power to a 15 MW industry means putting Kathmandu Valley in complete darkness. The harder this government tries to extricate itself, the deeper it sinks. The government and the diesel lobby are afraid EVs will transform the way Nepalis transport themselves. Why are roads bad in Sanepa and good in Dharan? An old South Asia hand turns to peace journalism.